Many Bedouin refugees living near Jerusalem were forcibly displaced during Oslo to a garbage dump. During recent peace talks, Israel developed plans to displace 7,000 Bedouins near Jerusalem to expand Ma'ale Adumim settlement: The E1 Development Plan. 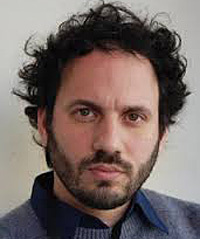 Guy Davidi, born in Jaffa, is at once a director, film editor and cameraman, making documentaries about Israel social and political issues, many filmed in the Occupied Territories. His movie 5 Broken Cameras was nominated for the 2013 Academy Award for Best Documentary Feature.